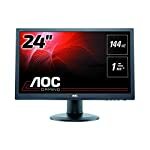 The ViewSonic VX2475SMHL is a 24″ monitor capable of running at UHD (3840×2160) colloquially referred to as 4K. 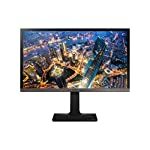 The Viewsonic stands out as it has challenged the current pricing for these high end monitors and brings them closer to consumers. If you are tempted by one of these do consider whether your PC can actually handle it, there are a lot of pixels to push round the screen and it places a significantly higher burden on your graphics card. As monitors are something we tend to replace infrequently it can be worth future proofing when replacing your old one so I still think there is an argument for pushing the boat out even if you can’t get the best out of it just yet. You can always play games at a lower resolution whilst you save up for that next gen graphics card. This pixel density means that you will need to take advantage of Windows scaling if you want to be able to read anything on screen. You’ll need to up the text to 150% or so else everything is going to look very small. But as higher res monitors become more widespread software if becoming better able to adapt. The stand is adequate if a little on the wobbly side and unfortunately there is limited movement in the stand. You are stuck with just a tilt adjustment to angle the screen up and down. The overall design is fairly stylish but I wouldn’t go on to describe it as the most elegant. The screen borders are on the larger size and the base is just big square slab. But then there is nothing there that proves a massive turn off either. You get 2 HDMI ports, one is 2.0 so assuming your graphics card has a compatible HDMI 2.0 port you’ll be able to run at 3840×2160 native resolution. There is also a DisplayPort 1.2a connection option included. 3W speakers are included but you’re more likely to want the headphone socket for your top quality headphones or stereo system. No USB hub on this model, but 100mm VESA mount is there. Screen options are controlled with a few buttons on the lower edge of the screen, when other companies are supplying joysticks and controllers for set up this design is a little underwhelming. If you rarely touch the setup panel then this won’t bother you at all but for those that are constantly tweaking custom configurations you might be frustrated. Professional reviewers give this screen a thumbs up, I have not seen one in the flesh but I’m told that colour, grayscale and gamma are all pretty close to the best. This is made all the more impressive when you look at the price of this display, they haven’t cut corners when it comes to quality. The VX2475SMHL also scores well for input lag making it suitable for game players. That said, there aren’t any features here geared at the gaming market, it doesn’t include adaptive sync tech and 4k screens are mostly limited to 60hz right now. If you do want to game at high resolution you might want to consider if your graphics card can handle it, you need a beefy rig to get decent performance at this high res. Not so much of a problem if you prefer slow paced strategy games and you’re looking for that extra detail. The other consideration is the size of the screen itself, of course higher resolutions are always going to look good, even at 24″, but you might get some scaling issues from time to time and well, really, high res just makes more sense on larger monitors. But with great colour accuracy and a price tag that brings 4k into the realms of us normal folk, this could make the perfect upgrade for an old 1080p. We give the ViewSonic VX2475SMHL a 3.5 out of 5 rating. Want to know what existing owners of the monitor think? You can read real user reviews here. 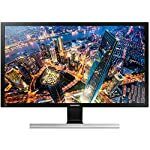 Should I buy the ViewSonic VX2475SMHL? The VX2475SMHL is an ultra high def monitor at a price that brings 4k to a wider audience. Not many of us could have justified the sky high prices being charged to early adopters but a few hundred pounds could be worth it to future proof yourself until the next big thing. If you are having some doubts about this purchase then why not read some real owner reviews and see what other buyers think. Welcome to the ViewSonic VX2475SMHL FAQ. This section attempts to answer common questions you may have, please get in touch if you have any more queries or if you think our answers need updating. Is the VX2475SMHL good for photo editing? I would say it should be a good choice. Feedback suggests it has great colour accuracy and the high resolution will ensure you can see plenty of pixels on screen at once! 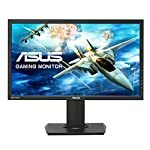 Can I play games at 1440p on the VX2475SMHL? Sure you can, you can downscale to lower resolutions. Typically a monitor’s image will be at its best at the “native” resolution. In this case 3840 x 2160, but it will most likely look great at lower res too.